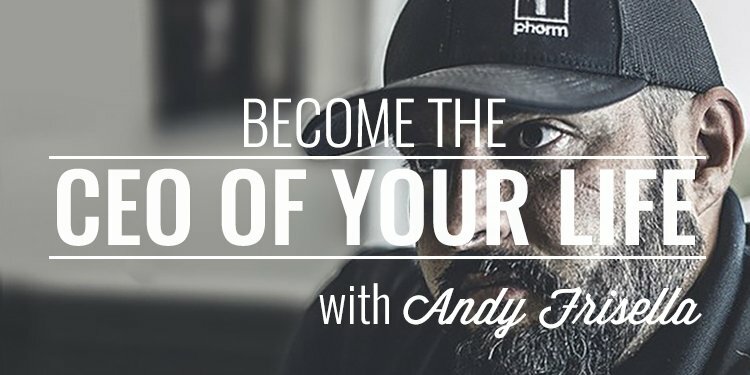 When we think of CEO, we think of big business but my guest today, Andy Frisella, shares with us why you need to learn to become the CEO of your life. Andy pulls no punches today as we talk about how to win and lose, the negatives scripts we tell ourselves, and how taking hard-line stances in your life will help you achieve on a bigger level in your business, your relationships, and your life. Andy Frisella is an entrepreneur and innovator. At the age of 19, Andy and his business partner, started their first supplement store and his since grown it into a multi-million dollar business. 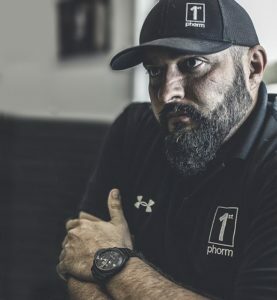 Today their companies, Supplement Superstores, 1st Phorm International, Alpine Sports Products, Carbon Fire Nutrition, Paradise Distribution, and Frisella & Klein Enterprises, sell, manufacture, and distribute fitness, nutrition, and weight loss products exceeding sales in excess of $100 million per year. In 2014, he was awarded Entrepreneur of the Year by Secret Entourage Academy which is the world’s leading online community of entrepreneurs. His podcast, The MFCO, consistently ranks in the top 50 of all business podcasts and top 15 in the marketing and management category. His Periscope Channel is one of the Top 20 most popular accounts in the entire world. Ultimately, he is a world-class motivator. His goal is to help 1 billion people accomplish their goals and dreams.